This is a shot taken recently for a pub/restaurant with accommodation. The shoot included the pub interior and exterior, dining areas and guest rooms. The client was in the process of setting up a new website and wanted images to sell the charms of the property and to show customers what to expect in terms of facilities. 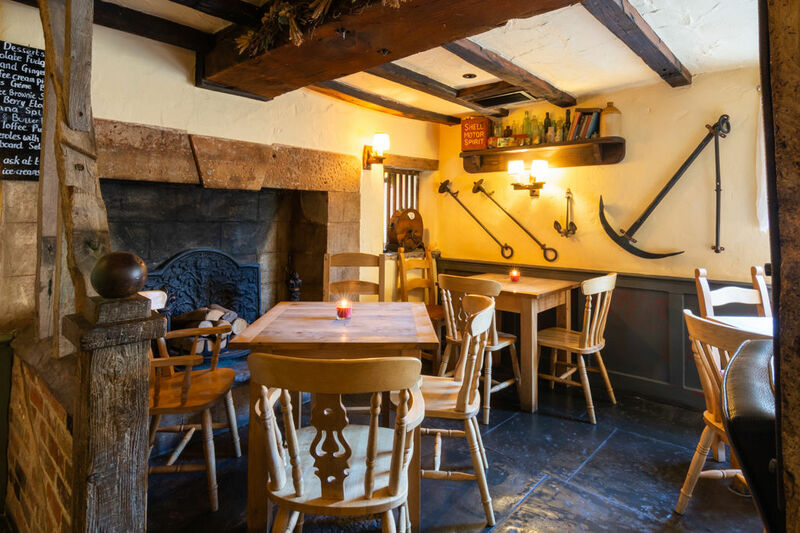 It was a country pub, near Yeovil in Somerset, and I set about creating images that would give a sense of its rustic appeal as well as its modern conveniences. Here, we see part of one of the bars. What I was seeking to do with this shot was to strike a balance between a sense of efficiency and cleanliness, and its ‘olde worlde’ charm. Tungsten light shows up as yellow in a camera, which can look false; on the other hand, using a neutral white light can make a room look cold and sterile, plus the walls were painted yellow and maintaining some of that hue kept the feeling of warmth and comfort, as well as being true to what was there. There also needed to be enough light to make the beautiful old fireplace visible, while not bleaching out the lighter parts of the room. I used a very wide-angle lens to capture to full width of the room, but then pulled out the inevitable lens distortion (something approaching the ‘fish-eye’ lens effect) in the editing process. I think in the end it all works rather well. If you own a business in Somerset, Dorset or Wiltshire, and could use great photography to show clients what you offer, please get in touch. Pub, Restaurant, Hotel. Leisure Industry Photography, Somerset, Dorset, Wiltshire.